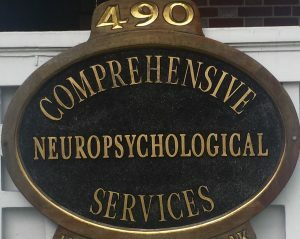 For the past 27 years, Comprehensive Neuropsychological Services has been providing outpatient evaluation and rehabilitation treatment to individuals who are suffering from mild or moderate brain injuries, including post concussion syndrome, neurotoxicity, and brain dysfunction secondary to other neurological conditions. Our staff, which includes licensed psychologists, cognitive rehabilitation specialists, and licensed mental health counselors, is committed to serving the needs of the neurologically impaired patient. 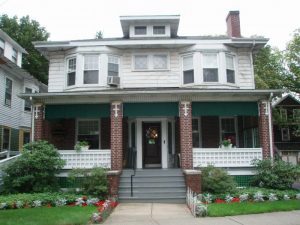 We offer treatment that is individualized and addresses the day-to-day functional needs of the whole person. Our program not only attends to the cognitive impairments with which the patient contends, but also to the emotional, social, vocational, legal and financial issues that are typically associated with the long-term effects of a brain injury. In our experiences with a wide variety of patients, we have learned that following the acute care phase of treatment, many patients are discharged from medical facilities without being provided with information regarding potential services that may be necessary in order to address their ongoing needs. Often, patients return home only to find that their functional problems persist, and greatly interfere with their effective daily functioning and/or their ability to return to work or school. We at CNS address this crucial gap in the services for the patient with brain injury.